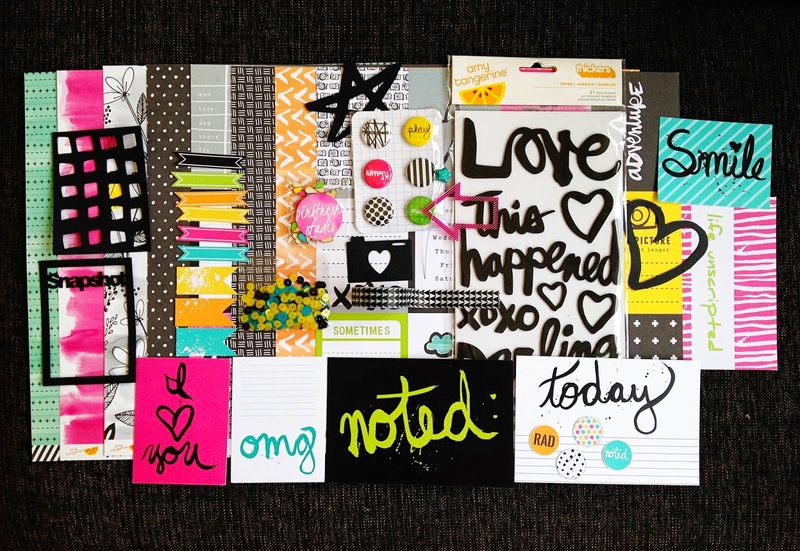 In case you haven't heard about it, there's a new kit club in town: Clique Kits! Their first kit just released this month and I'm feeling so honored to be guest designing for them with this first kit Debutante! My introduction is up on their blog so if you want to read some fun facts about me, go check it out. Yesterday I received my kit, so I'm sharing all the yummie goodies that are in it with you today. This is the complete April Debutante kit. As you can see there are lot's of bright colors and airbrush elements. 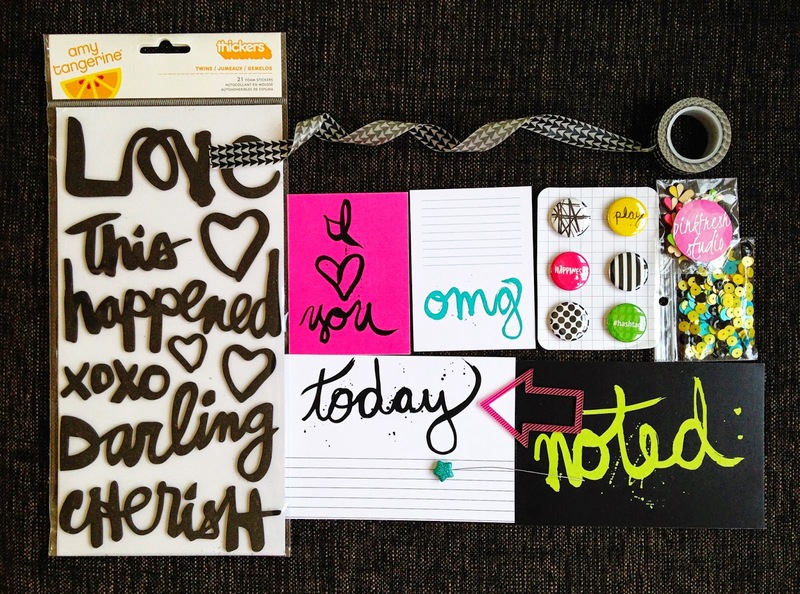 The kit has perfectly matching embellishments, all in the same style of the papers: Amy Tangerine Plus One Thickers, 1 pack of Pinkfresh Studio wood veneer colorblock hearts, a Freckled Fawn star pin and acrylic arrow, 1 roll Triangle washi tape and a mix bag of sequins (black, yellow and teal). 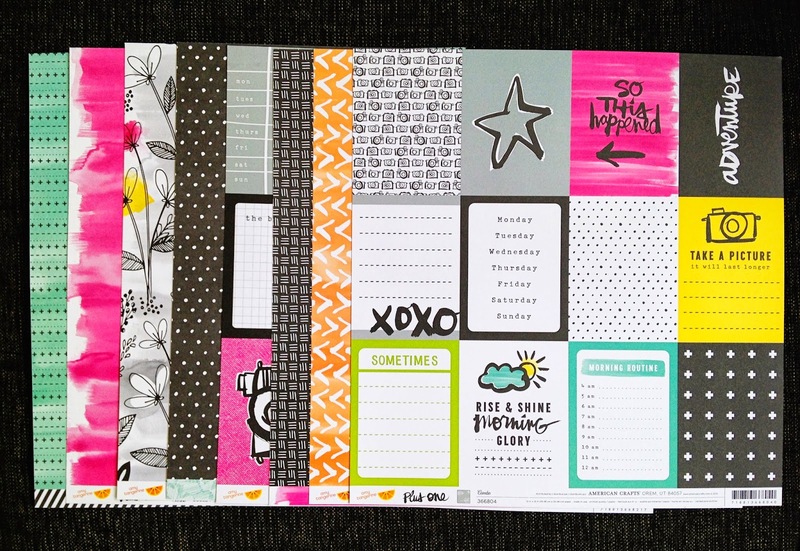 On top of all this, Clique Kits has some amazing exclusives: 4 double sided journaling cards and a set of 6 flair buttons! It ain't over yet! 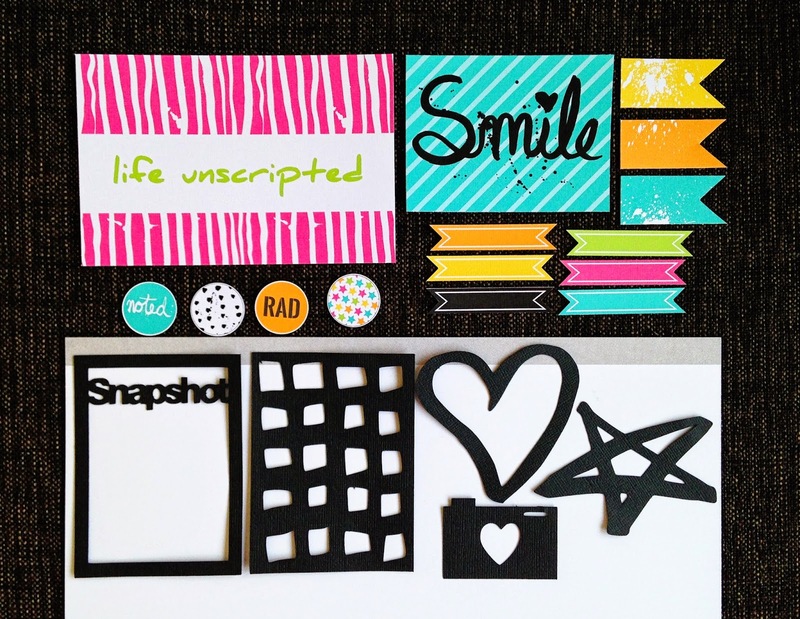 You also get these super fabulous printables and die cut shapes that you can print and cut over and over again. I'm in love! Now my hands are itching to play with all this awesomeness! If you want to join in all the fun and want to be part of the Clique, hop over to get your subscription. You can find Clique Kits on Facebook and Instagram as well, so be sure to follow them and not miss anything! I'm off to play with my kit now and will share my first creations with you next week! whoa this is one cool kit! We are so excited to have you as one of our April Guest Designers Danielle! I can not wait to see what you create! Have fun!! yea!! Thanks Danielle! We are so excited to have you as part of our team this month and of course having you in our Clique!! CAn't wait to see what you create with this kit! This is positively yummy looking! Wow - So bright and fun! Wohoo!! Congrats Danielle!! Wat onwijs gaaf!! We are so delighted to have you as Student of the Month--your presentation of Debutante here looks fabulous and I still pinch myself that the Clique is off and running ! Thank you for rocking' April with us!